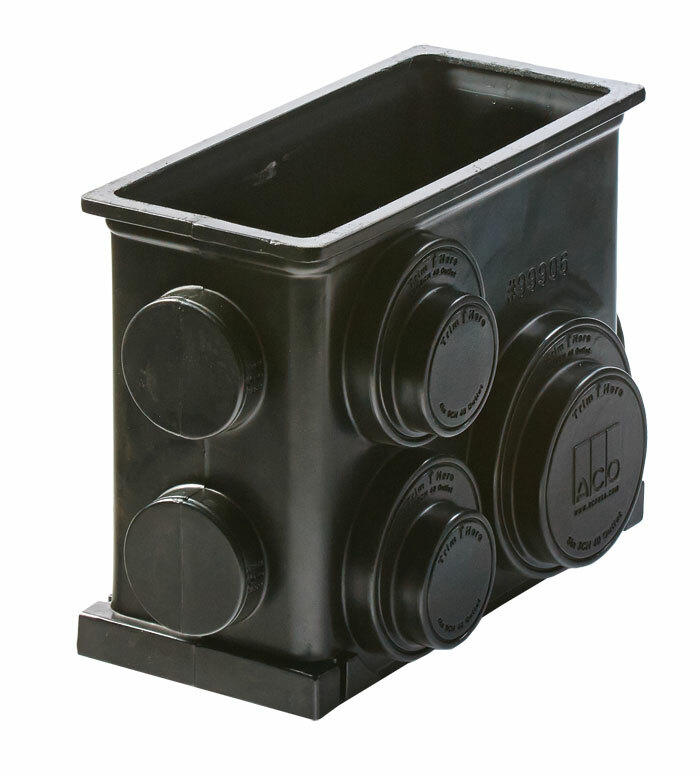 9878 - Pre-Sloped, Ductile Iron Rail for Heavy Applications - Jay R. Smith MFG Co.
Used in all surface drainage applications. May be assembled in any length utilizing integral ductile iron rails that allow for extra heavy duty hard wheel traffic applications. 1 meter (3.28') Precast Polyester Concrete Channel of Interlocking Design with a Built in Slope of .5%. 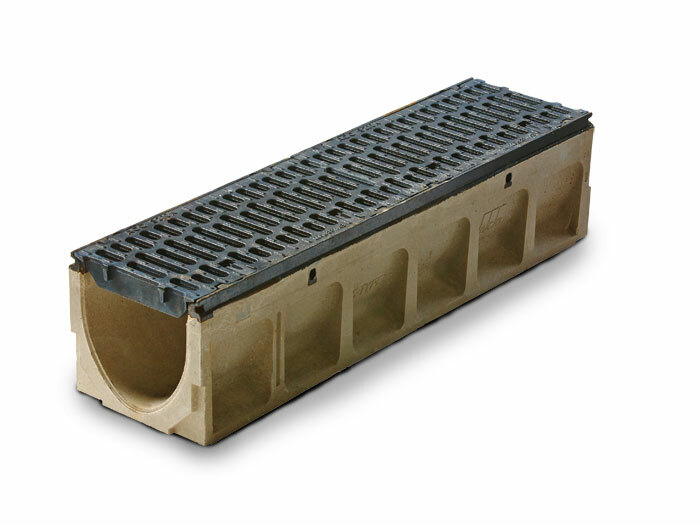 Channel has an Integral Ductile Iron Edge Rail with Radiused Bottom and 8" Internal Width. 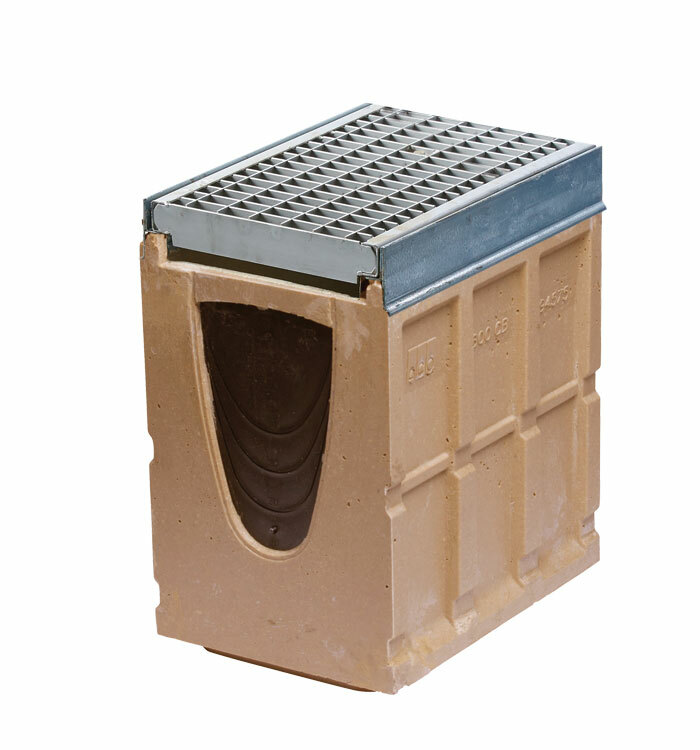 Supplied with Secured Ductile Iron Grates.